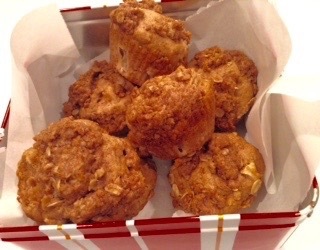 Since i had sooo many apples this week from my apple picking outing, i decided to make apple muffins. This recipe was inspired by Gwyneth Paltrows cookbook, my father’s daughter. Pre-heat oven to 350 degrees. Line and spray a 12 cup baking tray or use silicone cups. In a bowl sift flours, baking powder, baking soda, sea salt and cinnamon. In another bowl mix oil, maple syrup and milk. Chop apples and place to the side. Mix dry ingredients into wet ingredients and then fold in apples. Scoop batter into muffin cups. Combine flours, oats, brown sugar, cinnamon, salt, butter and milk. Use you fingers to mix until the topping becomes crumbly. Place topping onto each muffin and then bake for 25-30 minutes. Take out of oven and cool for 5 minutes. Transfer to a cooling rack for 10 minutes. Enjoy! This past weekend my family and I went up to a farm to go apple picking. It was a beautiful warm fall day. We went on a hay ride to get to the apple trees. There were three types of apples to pick at the farm. They had McIntosh, Cortland and Spartan. 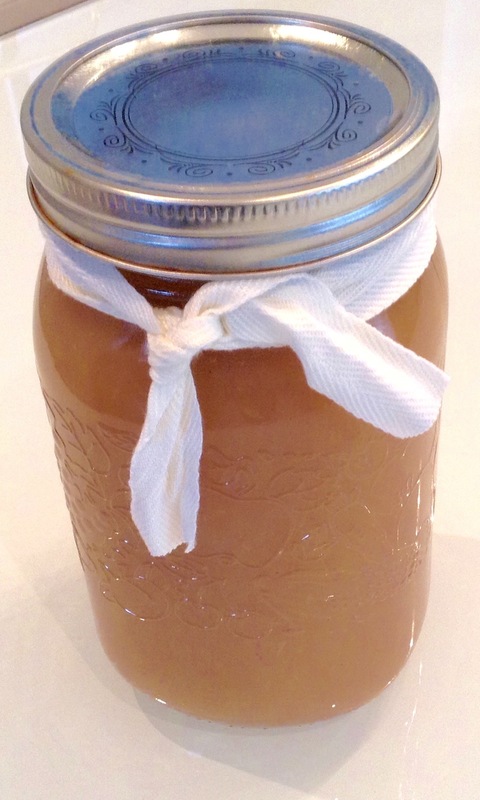 I used the McIntosh apples to make applesauce because they are my personal favourites but you can use any type of apple. The recipe is so simple and I didn’t need to add sugar to sweeten it. Slice apples with skin on and remove the core. Place apples into a large pot. Add water to the bottom of the pot and then add the cinnamon and vanilla. Cook covered on medium to low temperature. Keep stirring the apples until they are soft. This will take approximately 30-45 minutes. Once the apples are cooked place apples in a strainer with a bowl underneath to remove any liquid. Start to pick out the peels from the apples with a fork and then place into another bowl to blend. Use a hand blender to make the applesauce as smooth as you would like. Enjoy! I found this recipe from Sweet Emelyne’s Youtube Channel. Matcha Green Tea Cupcakes! I don’t think there could be anything better then adding Matcha Green Tea to a cupcake recipe. Yum!! 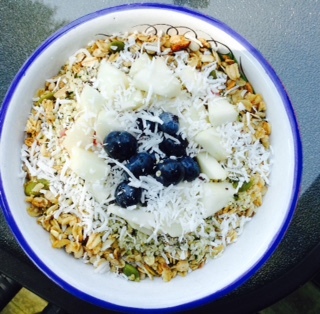 I did change some of the ingredients in the recipes to make it a healthier version. Pre-heat oven to 350 degrees. Line and spray muffin cups or use silicone cups. In a large bowl mix flours, sugar, baking powder and salt. In a separate bowl whisk milk and oil. Add milk and oil mixture to dry ingredients. Beat for a few minutes and then add matcha powder, vanilla extract and eggs. Beat with hand mixer for 2 minutes. Pour mixture into muffin cups. Bake for 20 minutes. Let cool and then transfer to cooling rack. While cupcakes are baking you can make the icing. In a bowl place butter and 1/3 of the sugar. Mix well. Slowly add the sugar to the butter and continue to mix. Add milk and matcha powder and continue to blend until creamy. If to dry add more milk. You can use a piping bag for the icing or just a spoon. Do not spread icing on cupcakes until completely cooled off. 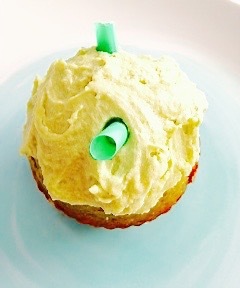 Cut small green straws and place into the cupcakes to resemble a matcha green tea latte. Enjoy! 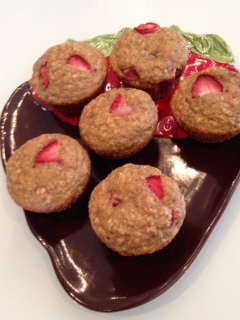 My muffin of the week uses oat flour. 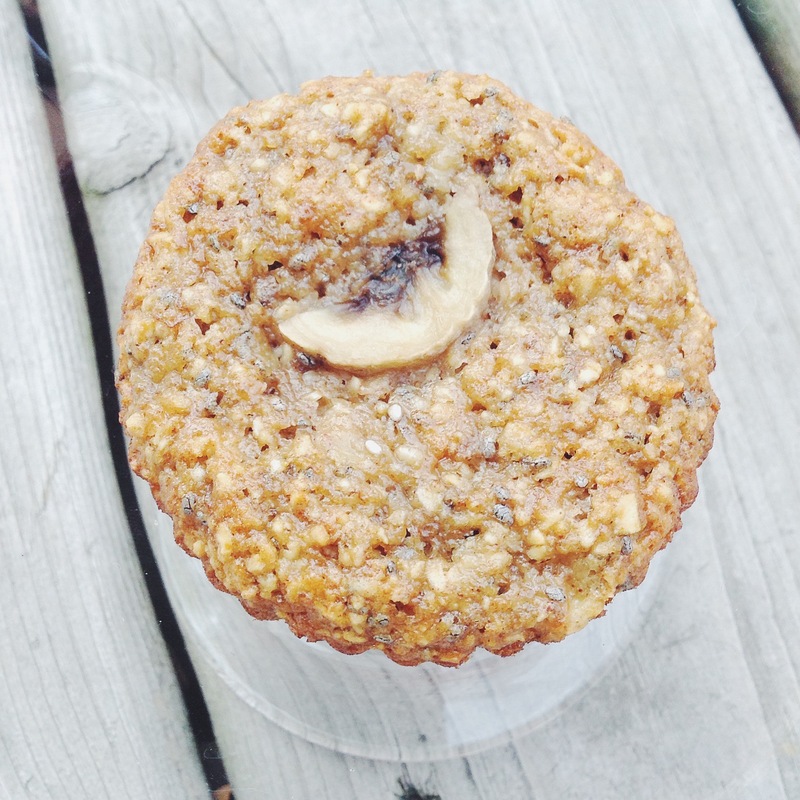 If you don’t have oat flour you can blend oats in a small cuisinart or blender to make flour. These muffins turned out moist and have very little fat. I like to toast them a bit the next day and add some jam inside. Pre-heat oven to 350 degrees. Line and spray 12 cup muffin tray or use the silicone muffin cups. In a bowl mix bananas, unsweetened apple sauce, egg and vanilla. Once wet ingredients are mixed properly add oat flour, chia seeds, baking powder, baking soda, sea salt, cane sugar and cinnamon. Mix until combined. Scoop into muffin cups and then add sliced banana on top. Bake for 25 minutes or until firm to touch. Let cool for 5 minutes and then transfer to a cooling rack for another 5 minutes. Enjoy!